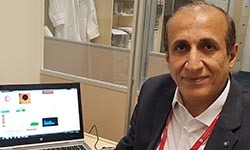 * Iraqi academic Dr Karim Al-Saedi is investigating how existing image analysis software can be improved to better detect diabetes. 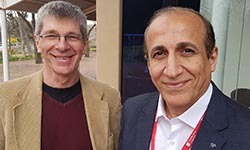 Dr Al-Saedi is currently working with his long-term colleague Associate Professor Herbert Jelinek at Charles Sturt University (CSU) in Albury. 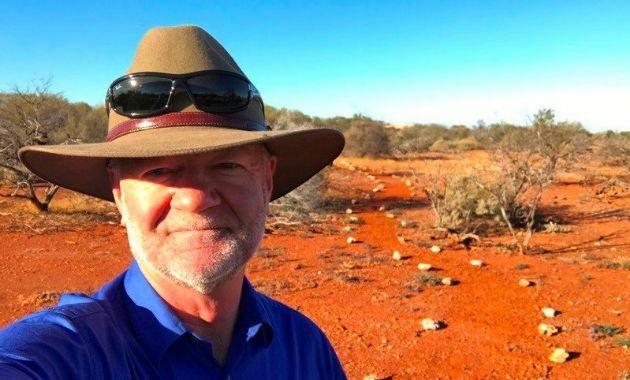 “Australia has always fascinated me. It has good systems, and I am very systematic; it is busy and developed; and it is peaceful, and I am a peaceful person,” Dr Al-Saedi said. After finishing his compulsory conscription into the Iraqi army, Dr Ai-Saedi unsuccessfully applied for a student scholarship to Australia. “At this time I applied a few times but there was no way for me to transfer my application fee at that time from Iraq to Australia,” he said. A meeting with Professor Jelinek in Turkey in 2008 rekindled Dr Al-Saedi’s yearning to come to Australia. 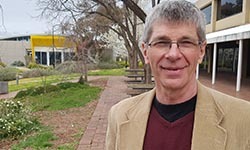 Encouraged by Professor Jelinek, he moved to Malaysia as a stepping stone to his goal of completing a PhD in Australia. “However, my visa application was again not accepted as I could not complete an international English language course in Iraq. I was caught in Malaysia,” Dr Al-Saedi said. At the same time, Professor Jelinek, based with the CSU School of Community Health, also continued efforts to bring Dr Al-Saedi to Australia and Albury. “I admired Karim’s tenacity and drive,” Professor Jelinek said. After a few ‘hiccups’, Dr Al-Saedi was finally allowed to study in Australia in June 2018, thanks to a prestigious Endeavour Fellowship obtained from the Australian government with the help of Professor Jelinek. The Fellowship has funded travel and living expenses for Dr Al-Saedi’s six-month visit to Albury. During this time, Dr Al-Saedi is investigating how photos of the insides of eyes could be used for the early detection of diabetes in remote rural areas worldwide, including his Iraqi homeland and Australia. “There are many rural villages in Iraq, and I have always wanted to help improve health services available in remote areas,” Dr Al-Saedi said. “A health professional working in a remote village could take, with relatively simple equipment, the image of inside a person’s eye. This image could be examined for the presence of micro-aneurysms, which are known as an early indication of diabetes. “With this image, the technician could use a computer program that I have developed to estimate the level of development of diabetes in the person, from ‘not evident’ to ‘very serious’,” he said. 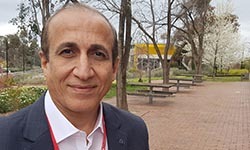 Dr Al-Saedi is currently assessing the accuracy of his program, comparing his estimates with the records of diabetes patients located in and around Albury-Wodonga. He is also commencing a new project at CSU that aims to predict the incidence of mental disorders over time using various data mining techniques. Dr Al-Saedi is particularly pleased with the Endeavour Fellowship he received to complete this research. “The Endeavour Scholarships and Fellowships are a golden opportunity for senior and junior lecturers to develop themselves and update their academic skills,” Dr Al-Saedi said. “They provide chances to meet new people who share the same interest and develop academic cooperation on personal and institutional levels. “They allow academics to exchange knowledge and transfer experiences to another country, open opportunities for others to participate, and solve some common problems. 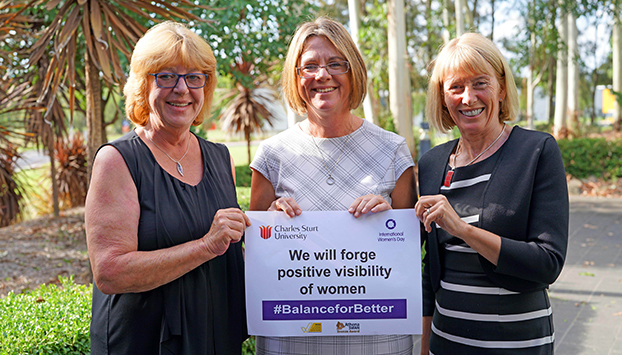 “Graduates of such programs also pass on the benefits they have received, becoming contact points between their institutions and well recognised institutions such as Charles Sturt University,” he concluded. Professor Jelinek said Dr Al-Saedi’s expertise in image analysis and data mining is contributing to the University’s efforts improve rural and remote health care in Australia and overseas. Dr Al-Saedi is due to complete his fellowship by December this year, after which he said he will look for further opportunities for collaborative work in Australia. For interviews with Dr Karim Al-Saedi and Associate Professor Herbert Jelinek, both based at CSU in Albury-Wodonga, contact CSU Media.